What are the reasons for viatical settlements? As you may know, a viatical settlement is when you sell your life insurance policy to a buyer in the secondary market. In return for relinquishing ownership and making the viatical settlement provider or buyer the beneficiary, you will receive a lump sum cash offer. The amount you receive can be many times higher than your cash surrender value, but still lower than the death benefit amount of your policy. Viatical settlements are for terminally ill patients with a life expectancy of 24 months or less. Depending on your state, viatical settlements can also work for patients with a very short life expectancy of 24 months or less. Your age does not matter and the percentage of your insurance policy’s death benefit you may receive typically goes up as the amount of time you have left to live goes down. You can still sell your life insurance policy if you are expected to live longer than the state guidelines, but it would be deemed a life settlement and would likely not qualify as a tax free advance of the death benefit, which is typically how a viatical settlement is treated. Many terminally or chronically ill individuals and their family members can benefit greatly by being able to access the funds in a life insurance policy while the insured is still alive. You should always seek tax advice before selling your life insurance policy. Perhaps the top reason for a viatical settlement is that you need money now and can not wait until you can collect on the death benefit of the insurance policy. It is not unusual for a family caring for a terminally ill patient to incur thousands or even tens of thousands of dollars in medical expenses. that are not covered by health insurance. If you have been diagnosed with a terminal or chronic illness, your decline in health may require special in-home care. Money can be used to pay to hire a nurse or assistant to help you manage your day-to-day life. If you do not have anyone you want to leave you estate to and have no beneficiaries, there is really no good reason to have life insurance. It makes sense to use that asset to make your life more comfortable for the time you have left. When you get older, your premiums will go up as you become more of a risk. If you can not afford to pay them any more, rather than letting your policy lapse, i is better to sell your policy and use the proceeds as you see fit. 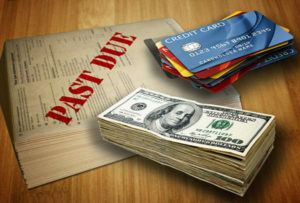 While credit card bills and car payments may not exactly be your main worry, some people want to have all of their affairs in order so their relatives do not have to deal with issues such as paying off creditors. You may want to leave your spouse with a paid-off house so he or she will have one less worry when you are gone. While paying off your home may reduce your spouse’s stress level, you should check with your accountant to see if such action makes sense from a tax perspective. While you are alive, you may want to see the joy in the eyes of your children or grandchildren when you present them with a generous cash gift. It is true that you can gift them money in your will, but then, you will miss out on the smiles. Perhaps you want to make a meaningful charitable donation to a cause that you support. You can take some personal satisfaction and pride in knowing that you are helping others who are in need. If the doctor told you that you only have six months to live, rather than stay in bed and contemplate the dire news, a better response might be to make the most out of your remaining days. Take some money and, health permitting, go on a month-long cruise to some exotic ports of call that you have always wanted to visit. You can also use the money to visit family in a distant location. The American Taxpayer Relief Act of 2012 increased the estate tax exclusion to $5.25 million for individuals and $10.5 million for married couples. For most people, there will be no estate tax. You may have other tax obligations such as capital gains taxes or individual income taxes and should always consult with a tax professional before making such a big financial decision. Facing the end of your life is more difficult for some than others. Each individual has to find their own peace. Of all the many reasons for viatical settlements, there can be no argument that the top reason for viatical settlements is to provide peace and comfort for the insured/patient.